Wetzlar, 28/01/2015 - Leica Camera AG is rebuilding their global sales organization and in this context is newly rearranging the responsibilities for the German market. Under the umbrella of the global Sales Unit, in the future a German organization is operating in addition to the various branch offices in Europe, America, Asia and Australia. 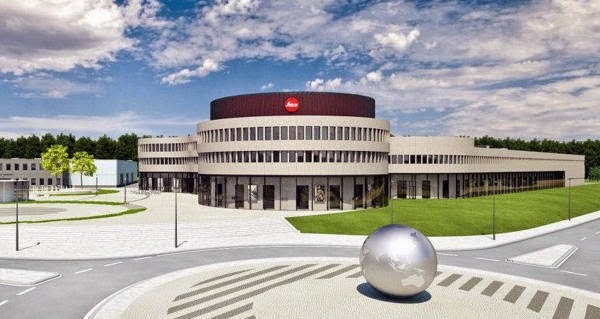 By the global reorganization of the sales areas, the markets in which the Leica Camera AG is represented by subsidiaries and trading partners will be even more closely closely tied to the company's headquarters in the Hessian town of Wetzlar. The goal is to expand the national companies globally to achieve greater market penetration. The Leica Camera AG has grown in recent years, counter to the trend in the global photography market, especially by working closely with retailers and a consistent focus on the company's own retail business with Leica galleries, Leica stores and boutiques. To further increase the efficiency and create potential for additional growth, sales and retail operate in the future in separate organizational structures. The area of sales will be led by Global Sales Director Steffen Keil (47)in the future with immediate effect. He is directly responsible for the national organizations. He reports to Kaltner Oliver, CEO of Leica Camera AG for Marketing, Sales and Retail. Prior to this, Keil had already been successful by pushing ahead with the internationalization of the sales structures. At the head of the German subsidiary will be Falk Friedrich (41) who, in recent years, was very successful in expanding international sales transactions with trading partners in Europe, the Middle East and Africa. In his function, the former sales manager for Germany, Tim Pullman (43), has contributed significantly to the growth of Leica Camera AG in the German market. He changes over to the retail sector and assumes the newly created position of Head of Retail Stores Leica Germany and Austria. 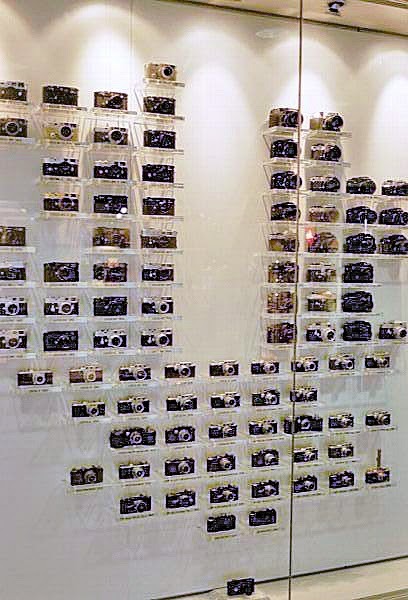 As such, he is responsible for the Leica Stores in Frankfurt, Hamburg, Munich, Berlin, Vienna and Wetzlar. 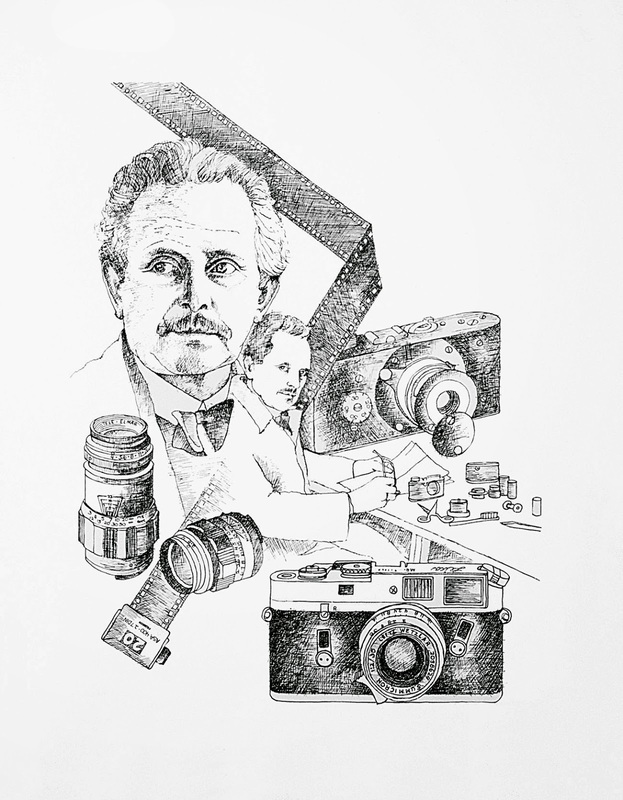 In 1980, PhotoVisuals of Minneapolis, the first Leica only store in the US, commissioned artist Susan Kennedy to create an original piece of Leica art. 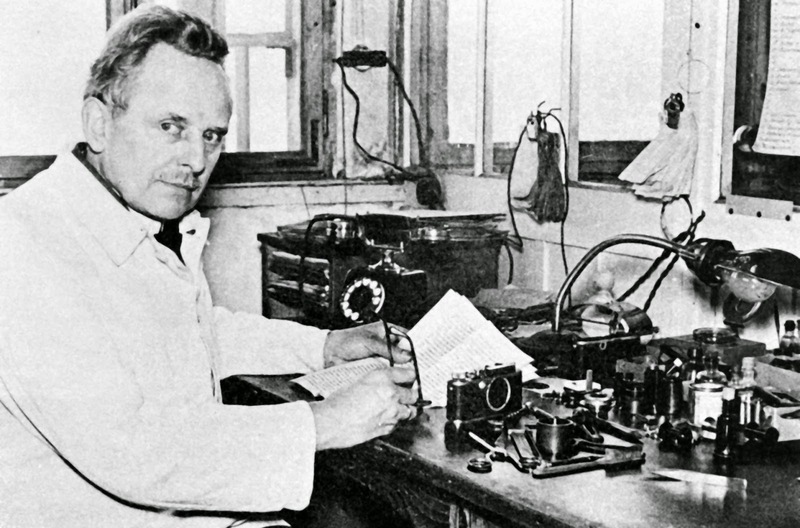 It was to be in honor of Oskar Barnack and his invention of the Leica. The idea was to show Oscar Barnack as well as some items out of the then current Leica catalog. Susan Kennedy was given total freedom in the design of the artwork. After a few weeks she presented several different layouts in form of sketches. After considerable evaluations, one began to stand out from the others and Susan was asked to draw the original poster. 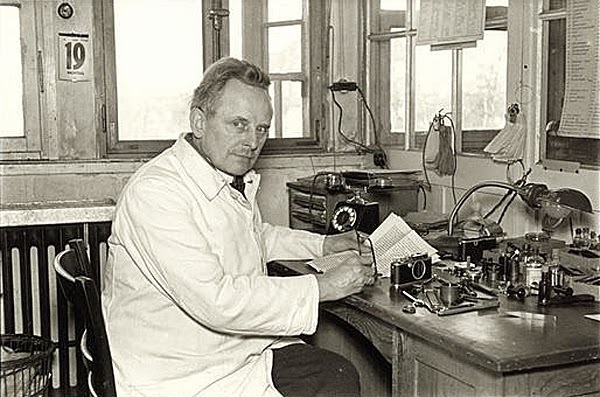 It showed two pictures of Oskar Barnack, created after two photographs, one of him sitting on his workbench and the other a head shot portrait. 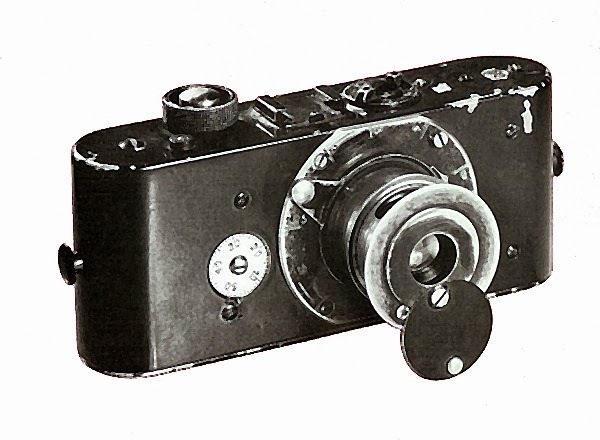 Also included in the poster were the Ur-Leica, the original prototype that Oscar Barnack began making in 1913. 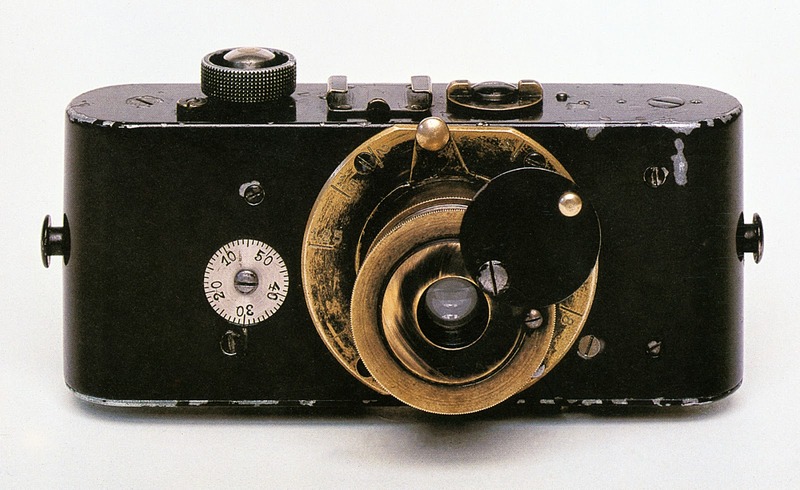 This was the camera that gave 35mm photography, as we know it, its start. 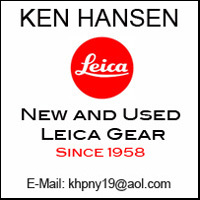 One important part of the poster was to show how the original Ur-Leica had progressed to that date. Subsequently the Leica M4 was shown as the then latest model in the development of the Leica cameras. 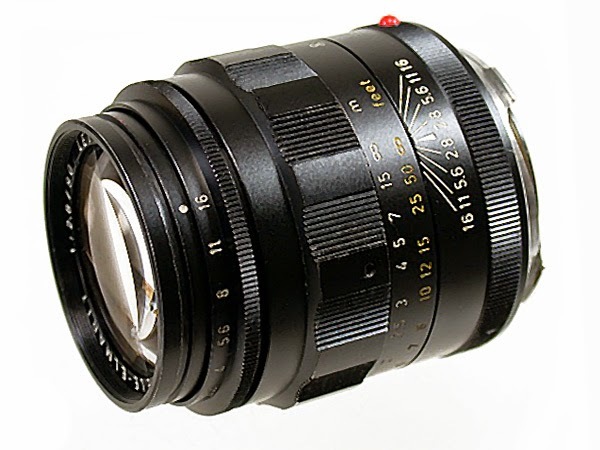 In addition two of the current Leica lenses were shown also, a 90mm f/2.8 Tele Elmarit and a 135mm f/4 Tele Elmar. All these individual pictures were combined in the poster. This was later made into a limited series of lithographs, all of which found their original owners soon after their introduction. The LEICA Barnack Berek Blog has reproduced the original poster in a 13 x 16.7 inch size and made them once again available for all Leica enthusiasts at a cost of $ 25.00 including shipping and handling. These reproductions are made in form of giclee prints, printed on archival paper with archival inks. YouTube has a movie about the history of the Leica. The video was first aired by the Hessischer Rundfunk in Germany. Unfortunately no English version or a version with subtitles is available. But even non-German speaking viewers might find it interesting. 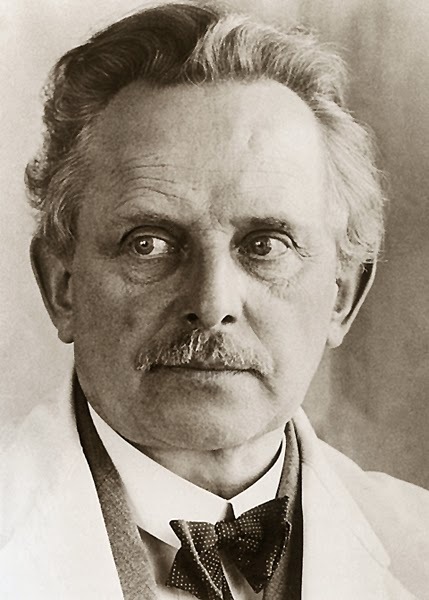 The video contains a large number of images taken by Oskar Barnack, some of which appear to never have been published before. Any dust that still clings to the lens ran be removed with a soft lens cleaning brush. Here too a lot of cheap, useless products can be found. 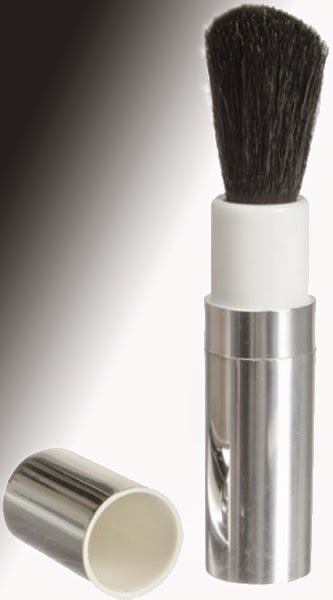 High quality lens cleaning brushes, in many cases, use camel hair or other similarly soft materials. Any good lens cleaning brush should come with a protective casing to prevent the brush from picking up dirt while being stored. It is also necessary to shake or blow off any accumulated dust and dirt from the brush, otherwise we end up simply moving dirt around on the lens. But caution is definitely on order. There are a lot of cheap products of this kind on the market. Some of these are often used as promotional items. Stay away from them. 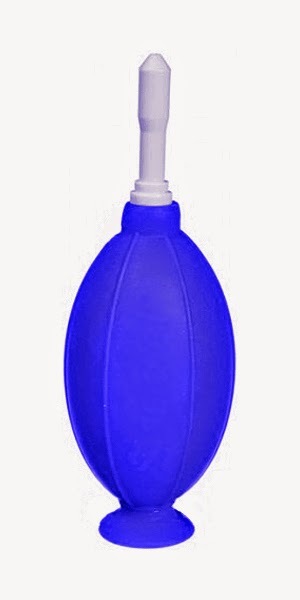 Instead pay a bit more for a high quality lens cleaning tissue, as are sold by Zeiss, for instance. These should be soft and lint free. The same goes for the cleaning fluid. To use this system first remove any loose dirt and dust with a blower or brush, Then use a sheet of the cleaning tissue and put a drop or two of the cleaning fluid on the tissue. Never put it directly in the lens. Most lenses have a front element with a convex surface. Adding the cleaning fluid will most likely result in the fluid to run to the edge of the front lens element and potentially into the lens. Moisture inside a lens is never a good thing. Finally there is the LensPen. It consists of a special cleaning tip and a lens brush that retracts into the pen for safe storage. The cleaning tip surface is covered with a special invisible carbon compound that removes fingerprint ans smudges. This is not “high tech” – this is “old tech”! Many years ago our grandmothers often used newspapers to clean the windows and mirrors in the house. Why did that work so well? Newspapers are covered with printer’s ink, which is about 25% carbon … and the carbon molecule has a unique ability to absorb oils. The invisible carbon compound in LensPen products is unique and it has been specially formulated to handle the fingerprint oils on lenses, filters, eyepieces and screens. Why would anyone replace the original Leica camera strap that is supplied with the camera? After all, it is a Leica strap, even says Leica on it. I was wondering about the same thing; that is until I discovered the EDDYCAM strap from Germany. This thing exudes quality. Not that the Leica strap is bad, but the EDDYCAM strap is in an entirely different league. The EDDYCAM is the first and only ergonomic elk-skin camera strap. It was developed by Edlef Wienen, an avid photographer and industry insider with decades of experience and a genuine passion for aesthetics and nature. Created for people that expect the best quality, functionality and comfort from their camera strap. The ergonomic design, use of Scandinavian elk-skin leather and painstaking production in a small German factory make EDDYCAM particularly comfortable yet extremely durable – and therefore simply unique. This is where the initial quality control and sorting takes place. Elk-skin is a high quality natural product and is not only one of the thickest leathers in the world, but also one of the finest. Production of the elk-skin straps doesn’t start with the actual manufacturing in Germany, but much earlier – somewhere in the Scandinavian boreal forest. This is the home of the elk whose leather is responsible for EDDYCAM’s high quality. The elk-skin is tanned and dyed in a small Finnish tannery before being sent to the workshop in Bavaria for further processing. This is where the cutting, bonding and stitching takes place and components are attached – all very carefully, as you would expect from an exclusive natural product, and mostly by hand. The soft and skin-friendly surface, ergonomic strap shape, infinitely adjustable length and pure natural rubber padding attached with solvent-free adhesive ensure that EDDYCAM doesn’t pull or pinch your neck or shoulder – even after hours of wear. Above all, EDDYCAM’s extreme durability is down to solid artisanal workmanship and the robustness of the elk-skin and other product components. From webbing quintuple-stitched with special thread (4700 N tensile strength), to non-breakable stainless steel length adjustment clips or sturdy polypropylene connecting elements – only consistently high quality in every part of the camera strap can guarantee its supreme durability. This makes it almost indestructible, even put to the toughest use in the harshest climates – and we guarantee that for five years. The Leica strap has been retired and the EDDYCAM now is doing its duty on my Leica M8. Fastening it to the camera turned out to be a bit tedious, but that was well worth it. I don’t think I have ever used a camera strap that is as comfortable to wear as the EDDYCAM. THE LEICA STAMMBAUM (FAMILY TREE) – WHAT HAPPENED TO IT? The first time I saw the Leica Stammbaum (Family Tree) was in 1972 during a visit to Ernst Leitz Wetzlar (that was the name of the company before it was changed to Leica Camera). 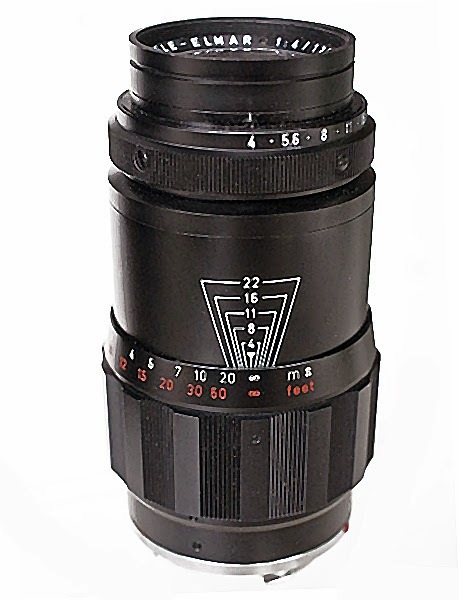 It was on display in the Leica museum, located at their old headquarters, which is now occupied by Leica Microsystems. It was an impressive display. You would reach it via a freestanding staircase in the main lobby, going up to the second floor. The Stammbaum was the first item you saw at the entrance to the museum. It has changed little since then. 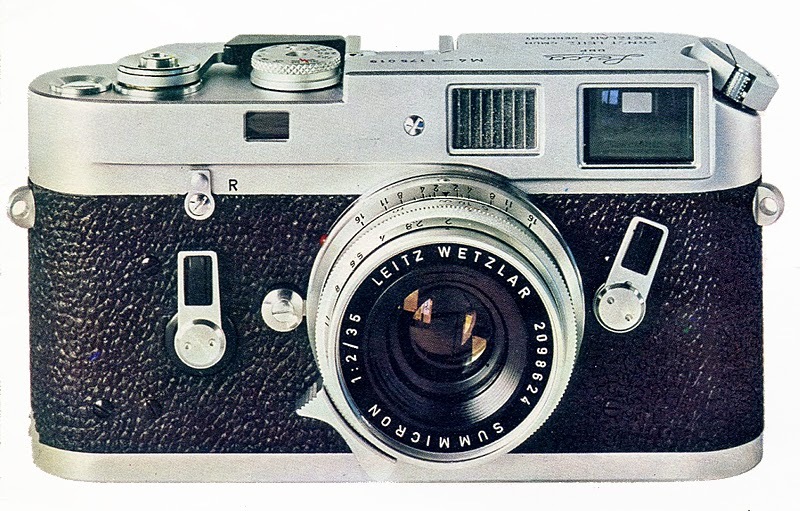 It still shows the Ur-Leica, the original prototype at the bottom and then all subsequent models of the Leica rangefinder cameras up to the first Leica reflex cameras. At that point the Stammbaum splits into two sections, one for the Leica reflex models and one for the rangefinder cameras. The only changes have been the addition of new camera models as they were developed, and the original Ur-Leica has been replaced with a replica. The original is now sitting safely in a vault. Of course the appearance of the display has changed many times, especially when Leica made the move to Solms several years ago. Even there the display changed its appearance, the last time after the renovation of the Solms lobby about four years ago. What happened? The simple answer is that Leica doesn’t own the Stammbaum any longer. Just yesterday I received word of what happened to it from the Leica Store in Manchester, UK. The owner David Stephens kindly gave us permission to use his account and photographs of this historical event. In November 2013 David and Richard visited the old Leica Solms Factory to collect some equipment. 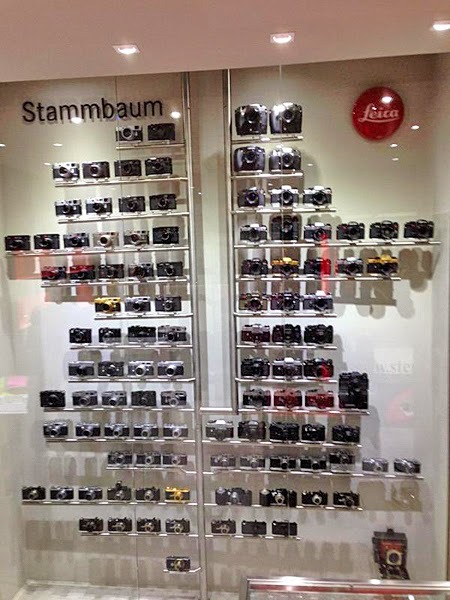 On display was the Historic Leica Stammbaum minus the iconic collection from Leica’s 99 years of camera production. The receptionist told us that the cameras had been taken to the new Leitz-Park in Wetzlar for display in state of the art glass cabinets. So begged the question – ‘What are you doing with the Tree?” – After several conversations/emails and phone calls with the powers that be we received an email in February 2014 saying that, for an agreed price, we could ‘collect’ the Tree from Solms for our new Leica Store in Manchester. Guess what? Richard and David booked the next available ferry from Hull to Rotterdam and drove down to Solms, cash in pocket, to collect the one and only Leitz Family Tree. What a coup ! Not all went smoothly – the tree, even in its disassembled three pieces was somewhat a snug fit in our trusty Octavia Estate. So with chins on the dashboard we set off back to Manchester. Back at base we started the task of assembling the history of Leica from 1914-2014 (100 Years of Leica in Leica’s 100th Anniversary Year). After several months and many trawls through various online sites we finally managed to replicate the original ideology of the tree display filling it with Pre Leica M Cameras, LeicaFlex Cameras, and Leica M and R Cameras. Some of the cameras on the tree are exceedingly rare, and we are privileged to be able to display them all in our store for Leica lovers around the world to enjoy. What we have is a truly historical piece of Leica Art which we hope you will come and enjoy next time you’re visiting Manchester. I have to agree. This was indeed a coup. DO PROFESSIONAL PHOTOGRAPHERS USE LEICAS?